Here are the recipes and video from the On Call with Dr. Darria episode that aired September 4, 2012. Here's the link to her blog post about the episode http://doctorgillespie.wordpress.com. Check out her other posts and helpful tips about all your medical questions! We’ve all become accustomed to foods flavored and preserved with a lot of salt, sugar, chemical additives, MSG, hydrogenated oil sources, et cetera. 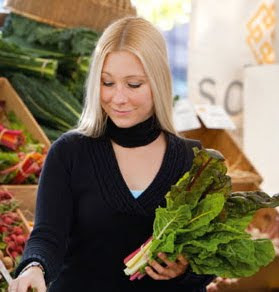 When it comes to delicious food, however, healthy-fresh flavors win out. For this episode of On Call with Dr. Darria, I walked to my local Farmer’s Market to find what was in season and combined those fruits, vegetables and herbs with dried spices and a few items from the pantry to show viewers how to make the following sauces, condiments and spice mixes that are sure to add fresh, healthy flavors from around the world to your late summer table. Many of the recipes can be made, or stored for use, at any time of the year as well. I also show how to properly store herbs and lettuces. One comment I hear often from people is “I don’t buy herbs or lettuce because they only last a couple days and always go bad before I can use them.” Tune in for tips to keep your herbs and lettuce fresh for up to 2+ weeks! The following recipes use the words “spice” and “herb” a lot. They are not the same thing! Spice: any dried part of a plant, other than the leaves, used for seasoning and flavoring. This includes bark, seeds, roots, twigs, berries, etc. Herb: leaves of a plant used for seasoning and flavoring. Tip for making delicious spice mixes: the best flavor comes from toasting whole spices in a dry skillet and then grinding the spices. It’s still delicious when made with pre-ground spices, just not the same. This Moroccan spice mix is excellent on fish, chicken, vegetables, couscous, scrambled eggs, rice, tofu, lentils, lamb and potatoes. 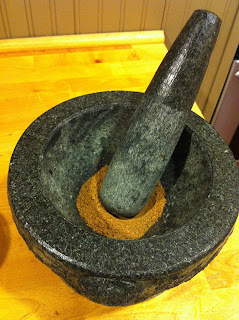 Like any dry spice mix, the best flavor comes from toasting whole spices in a dry skillet and then grinding the spices. It’s still delicious when made with pre-ground spices, just not the same. Make extra and store in an airtight container in a cool, dark, dry place for use later. Lasts for months. -Option 1: stir all ingredients together. -Option 2: heat sauté pan over medium heat and add whole cumin seeds, coriander seeds, whole allspice, whole cloves and whole cardamom seeds. Shake pan until spices are fragrant. Transfer to mortar and pestle or dedicated coffee-grinder (never use the same one for spices and coffee – your coffee will taste terrible) along with peppercorns and pound or grind to a powder. Stir in ground ginger, salt, cinnamon, cayenne, turmeric, paprika and garlic powder. Makes: just over ¼ cup spice mix. *Halve these for less spicy mix. Pronounced “Da’a” or phonetically Dha-ah, is an Egyptian condiment made of a mixture of pounded herbs, nuts and spices. Versions vary a bit and generally contain salt, pepper and then one or more of the following: hazelnut or pistachio, mint, salt, pepper, cumin, caraway, sesame seed, cashew. I’ve even seen some with coconut (I’ve never tried this, though, because it sounds terrible to me!). It is REALLY addictive! Traditionally, it’s eaten with flat bread (about the thickness of a pita) dipped in olive oil and then dipped in dukka. It's also delicious to use as a crunchy coating for baked or roasted cauliflower or brussel sprouts and pork or poultry. 1. Preheat oven to 350 degrees F and place nuts on baking sheet. Grab a handful after 5 minutes to check for doneness. To do this, look for a slight darkening in the color, smell for a toasty aroma and make a fist around a couple of nuts. The should quickly heat up your palm if they are done. If not quite there, they will cool off within a few seconds in your closed fist. Continue to check every 2-3 minutes until done. Remove from oven and set aside to cool. 2. For nuts with skins that are flaking off a bit. Once cool, lie a kitchen towel out on the counter, pour the nuts onto it. Fold the towel over the nuts and roll around under your palms with gentle pressure to remove some of the excess skin. No need to try to get it all off. 3. In a medium sized dry sauté pan heated over medium heat, add the sesame seeds, shaking the pan occasionally until the seeds are popping and starting to turn golden. Keep a lid handy to prevent the seeds from popping out all over! 4. In the same pan, dry toast the coriander seeds and then the cumin seeds each until fragrant and starting to turn a slightly darker hue. 5. Allow all toasted seeds to cool. 6. 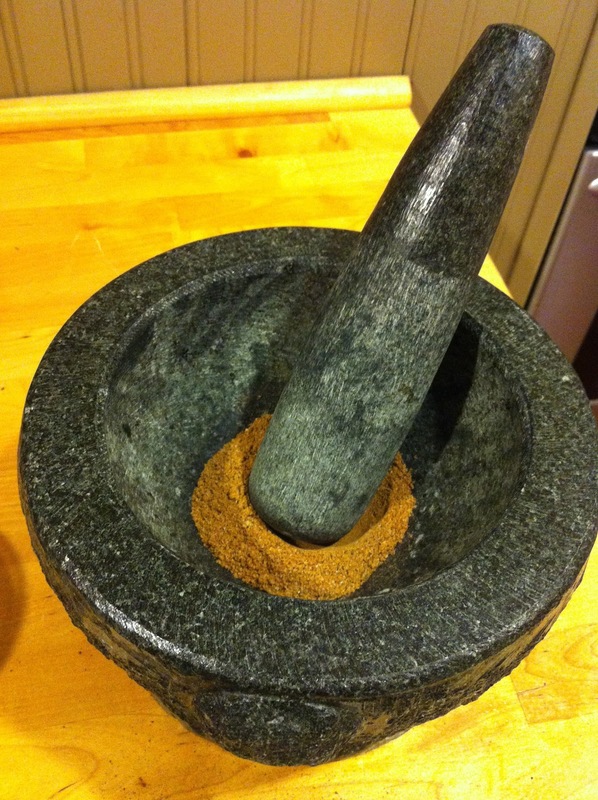 In a food processor or mortar and pestle, pulse or grind all ingredients until finely ground. Beware, don’t grind too long or you will end up with nut and seed butter. Makes: Approximately 1 cup, 16-1 tablespoons servings. Varies with exact Kosher salt, but each serving has approximately 100mg sodium and 65 calories per serving. Store: in an airtight container for up to 1 month. *Time saver: buy nuts already dry roasted (unsalted), sesame seeds toasted, and roasted ground cumin and coriander. This is much less tasty, but much faster and still delicious. This smells heavenly when sprinkled on anything hot just before serving. The heat releases the natural oils in the ingredients and fills the room with this enticing scent. Delicious on cooked fish, chicken, pork, potatoes or vegetables (like roasted asparagus or cauliflower). My favorite way to serve it is to sprinkle gremolata over any of the above, then drizzle with a good extra-virgin olive oil and then season with salt and freshly ground pepper. Gremolata can also be mixed with breadcrumbs to liven up any savory crumb topping. 1. Chop all ingredients together or separately and then mix together. Alternative version: substitute orange peel for lemon. Note: Parsley must be VERY dry before using. If ingredients are damp, you will end up with a clumpy mess that is difficult to sprinkle. Serve: As directed above. Use within 24 hours of making as flavors degrade after that. As a vegetarian in the Midwest in the 1990s, I remember learning to make hummus and thinking I’d struck gold! Now, it is found EVERYWHERE in the U.S. However, those delicious eight-ounce containers that sell for $4.50 can be made at home for $2.00 using prepared ingredients and right around $1.00 if you cook your own chickpeas. Not to mention that making it at home allows you to be creative with your flavor additions and bean choices. 1. Place garlic in a food processor or blender to chop even more finely. 2. Add chickpeas, tahini, lemon juice, olive oil, cumin, cayenne and salt to food processor or blender. Process until as course or silky smooth as you want, thinning with water to desired consistency. 3. Taste for salt and acidity – there is a DRASTIC difference between the under-salted and correctly-salted version. Use additional lemon juice to increase acidity, if needed. Serve: with fresh vegetables, pita bread, chips or use as a sandwich spread. For a traditional presentation, spread in a platter, drizzle with olive oil and sprinkle with smoked paprika or ground sumac. Variations: Add a bit of chopped green onion, parsley, carrot, etc., at the end of processing without completely pureeing these additions. You can also use other types of beans and flavor themes to make a completely different style of hummus (i.e. white beans and sage or sundried tomatoes and basil, et cetera). Pesto comes from the Italian word, “pestare,” which means “to pound or crush.” This refers to the original preparation of pesto in a mortar and pestle. Now, many people save time (and the mess…trust me, herb infused olive oil splattered all over your clothes is difficult to get out!) by using a food processor to create a paste. Most people think of traditional Pesto Genovese when they think of pesto, so this is the recipe that I’ve included here. However, you can use the same proportions of other herbs and nuts, plus or minus cheeses, to make as many sauces as you can imagine. 1. Place garlic, parsley and olive oil in the food processor and process until garlic is very finely chopped. 2. Add basil, pine nuts and parmesan (or alternative ingredients for dairy-free and salt-free version) and pulse until mixture resembles a paste of finely chopped, but not completely smooth, ingredients. 1. Pound garlic to a paste. 2. Add a handful of basil with a little of the olive oil and pound until reduced to a paste. Continue to add a handful of basil and a drizzle of olive oil until all basil has been used. Then do the same with the parsley if using. 3. Pound in pine nuts and parmesan (or alternative ingredients for dairy-free and salt-free version) until mixture resembles of not-quite-smooth paste. -To store for 1-2 weeks in the refrigerator, put pesto in an airtight container and cover with a small layer of olive oil to help prevent the browning of the basil. -To store for longer, I like to fill an ice cube tray with pesto, freeze, then pop out the cubes and store them in an airtight bag or container in the freezer. Since the cubes are small, they can be stirred into any dish and thaw very quickly. Note: Parsley is not traditional, but I use it to keep the sauce green since the basil has a tendency to turn brown. If you have a food processor or blender, nothing could be easier than salsa! This time of year, when every ingredient is fresh and plentiful at the farmer’s market, there’s no reason to spend $5.00 on a pint of “fresh” salsa at the grocery store made with near-tasteless hot-house tomatoes. This recipe makes almost twice that much, is MUCH more flavorful and will cost about half as much by volume. 1. Place vinegar, lime juice, garlic and jalapeno in food processor or blender and pulse until finely chopped. 2. Add remaining ingredients and pulse until and smooth or chunky as you like your salsa. Serve: great as a topping to a savory dish such as grilled fish or chicken (or vegetarian equivalents) or served with chips – basically anywhere you’d regularly find a traditional tomato salsa.